Marion Barry Jr., a civil rights activist and later three term mayor of Washington D.C., was born on March 6, 1936, in Itta Bena, Mississippi. His parents, Marion Barry and Mattie Barry, were sharecroppers; the family lived in relative poverty. When Marion was eight years old, his mother took the family to live in Memphis, Tennessee. Barry graduated from high school in Memphis and then in 1958 earned his bachelor’s degree at Le Moyne College, a small black college in the city. He received a master’s degree in organic chemistry from Le Moyne College in Nashville in 1960. Barry then completed three years of a doctoral program in chemistry at the University of Tennessee. Barry’s studies were abandoned as he became immersed in the civil rights struggle. In 1960, at age of 24, Marion Barry became the first chairman of the Student Non-Violent Coordinating Committee (SNCC). Barry worked with SNCC in the South until 1965 when he moved to Washington, D.C. to open that’s city’s SNCC office. Barry soon became a well-known local activist, leading civil rights demonstrations. In 1967 Barry cofounded with Mary Treadwell (who would become his first wife) Pride, Inc., a Federally-funded job training program for unemployed black men. 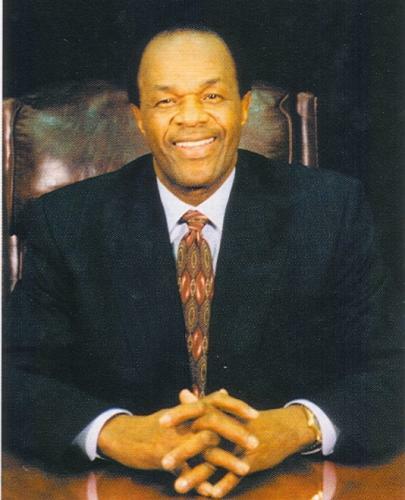 Marion Barry began his political career in 1971 when he was elected to the District of Columbia’s first independent school board. He served as president of the board until 1974. When Washington, D.C. was granted home rule (its citizens could vote for major municipal offices such as the mayor and city council), Barry was elected to the first city council. Barry developed a populist style of local politics which energized poor and working class voters particularly in the eastern section of the city and was thus easily re-elected in 1976. With a significant base of political support behind him, Barry at 42 was elected to the office of mayor in 1978. He served three consecutive terms, until 1990. While in office, Barry concentrated on generating employment opportunities for his most impoverished constituents which often meant city employment. During his term in office the city’s work force grew dramatically as its revenues from taxes declined due to the flight of the white and eventually black middle class to the suburbs. On January 18, 1990, Marion Barry was arrested for misdemeanor drug charges after an FBI sting operation and was forced to step down as mayor. He was subsequently convicted of one of the 14 charges raised against him and acquitted of another, but jurors could not reach a verdict on the other charges. A mistrial was declared and after a second trial, Barry was sentenced to six months in federal prison in October 1990. In 1992, Barry returned to politics and ran successfully for a seat on the city council. In 1994, Barry was once again elected to mayor. However, his political influence waned while he was in office and he announced in 1998 that he would not seek a fifth term as mayor. Despite subsequent convictions for failing to pay income tax and for continuing drug use, Barry was again elected to the District of Columbia City Council in 2004, representing Ward 8. Marion Barry, Jr. died on November 23, 2014 at his home in Washington, D.C. He was 78. Jonetta Rose Barras, The Last of the Black Emperor: The Hollow Comeback of Marion Barry in the New Age of Black Leaders (Baltimore: Bancroft Press, 1998); Councilmember Ward 8, http://www.dccouncil.washington.dc.us/BARRY/about/default.htm; The Washington Post, “Marion Barry: The Making of a Mayor,” http://www.washingtonpost.com/wp-srv/local/longterm/library/dc/barry/barry.htm. "Marion Berry 4-Time Mayor of D.C., dies at 78," The Washington Post, Nov 23, 2014.